Every child is unique. All growth, whether it’s physical, emotional or intellectual, is a milestone. 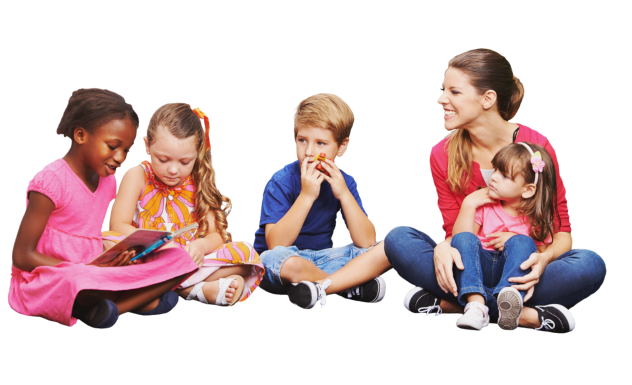 Joint Commission on the Mental Health of Children as long ago as 1970 has emphasized that child care centers, nursery schools, and compensatory programs present outstanding opportunities to foster mental health of children. The potential value of these programs to children’s mental health continues to be recognized until today. According to Joanne Hendrick (2010)*, these are some hallmarks that a teacher should observe in knowing if a child is growing healthy emotionally. 1. A child who grows toward his independence in choosing his own activities and makes a self discovery. As a child grows, he gains independence in choosing his own activities, as well as generates his own ideas with zest and enthusiasm. One way of supporting this skill, is building trust with the child. When a child is given trust, he performs better in finishing his tasks. 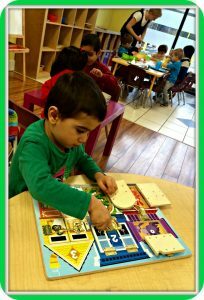 This is known as the Montessori teaching method, where children are given real life scenarios and must then determine their response to all the possibilities. As the child is given the freedom (within boundaries) to make his own choices, his love of “work” is maximized. Gabriel Garcia Marquez, the Colombian author of “Love in the Time of Cholera” and “One Hundred Years of Solitude” attended a Montessori school as a child. Many Montessori websites quote the Nobel Prize winner, saying “I do not believe there is a method better than Montessori for making children sensitive to the beauties of the world and awakening their curiosity regarding the secrets of life. 2. A child who is able to build a healthy relationship with one of the teachers or others, outside of his family. At an early age, a child would show interest in building a relationship with other people outside of his family. A sense of belonging is very important in fostering healthy emotions in a child. A teacher can be a spark of inspiration, confidence, and will instil values that last a lifetime, well beyond the confines of a classroom. There are a lot of stories about people whose grandparents or other relatives/teachers influenced and inspired them. They grew up to be mature and responsible adults and have contributed tremendously to the society. Oprah’s story unfolded this truth: “One of the defining moments of my life came in fourth grade—the year I was a student in Mrs. Duncan’s class at Wharton Elementary School in Nashville. For the first time, I wasn’t afraid to be smart, and she often stayed after school to work with me. I thought I would one day become a fourth-grade teacher.” How much more if a child has this kind of experience as early as when he is in preschool? 3. A child who is able to follow the routines at school without fuss. A child gains more self-assertiveness as he gets older. Teachers should be consistent and firm in helping children follow routines until he gets used to it and is able to do it without a teacher’s strict supervision. The method of discipline will depend on the character, age and background of the child. Some of discipline problems can be solved through dialogue, but some of children need a teacher to hold their hands to simplify the transition of doing the routines. Patience is indispensable in maintaining limits when necessary and independence when possible. It’s a balancing act in avoiding confrontations when you can, insisting on doing things your way when necessary and giving the child as many choices as possible. It is important to remind ourselves that the drive toward independence and self-assertion is a crucial stage of emotional development. A child needs to learn how to handle himself and follow the activities provided by his or her teacher. He should know when he has to sit quietly and when he can chat and tell a story. In addition to this, teachers should be aware that children who are very quiet also need attention since the tendency to spend more in disciplining the children with behavior issue might be inevitable. Communication with parents regarding the child’s behavior at school is a good way to help the child improve his attitude. The parents need to follow up how the children are doing during their absence. 4. A child who is able to engage deeply in play. Vygotsky (2010) emphasized so much on social play where a child is able to operate in what he termed as “zone of proximal development”. It involves the use of imagination, symbolic language and observation of social rules. He believes how culture and environment contribute tremendously to the child’s mental health. A child who enjoys and is immersed in using his imagination in play develops his creativity. I often see children pretending to be a family as they play, taking on the role of a dad, mom, or child. The feeling of satisfaction they get as they play fosters their mental health. 5. A child who is able to settle down and concentrate. The ability to focus on something that interests a youngster is an indicator that he is capable of learning. According to Dr. Montessori, “the child’s mind between the time of birth and six years of age is in the stage of an ‘absorbent mind’”. A teacher should recognize and take advantage of these highly perceptive stages through the introduction of materials and activities that are specially designed to stimulate the intellect. During these years, without conscious effort a child has the tremendous ability to learn and assimilate from the world around him. Again, it takes time for a child to build up a self-discipline as he learns this skill. I believe when the child loves doing what he does, he has a tendency to settle down and concentrate better and the attention span would last longer. I.e. I found the love for reading helps my daughters to focus in a long period of time. Early literacy can be a tool to help a child to possess this skill. However, each child has different interest, he can learn this skill through different activities such as solving puzzles, building blocks, or drawing etc. Children, especially preschoolers, are particularly receptive to certain external stimuli. We use the Montessori program, which allows independent learning, interaction with a child’s surroundings, and the opportunity for a child to pursue his or her own ideas in subjects that interest him or her for long, uninterrupted blocks of time. This entry was posted in Daycare. Bookmark the permalink.